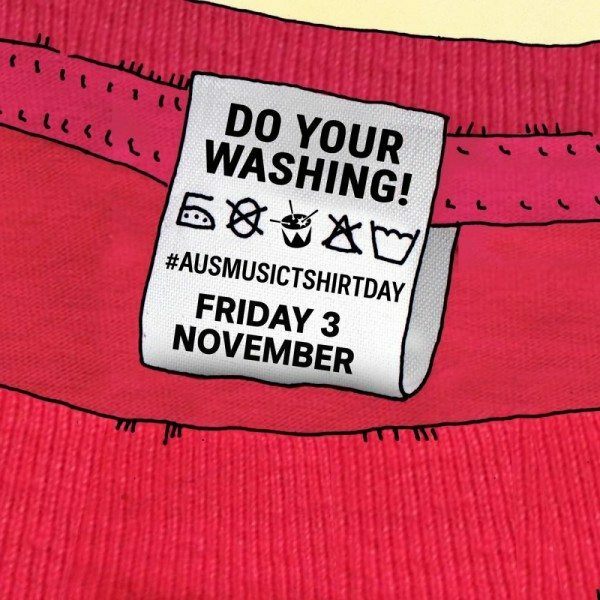 Australian Music T-Shirt Day on 3rd November 2017 was a successful fundraiser for the music charity Support Act which partly gives financial support to musicians with mental health issues. 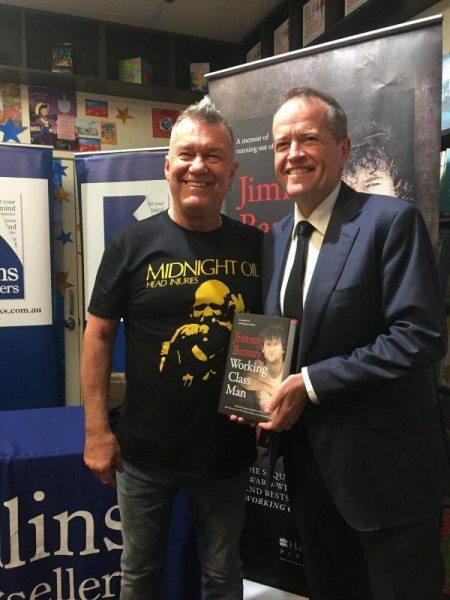 High-profile faces involved included Jimmy Barnes, seen here giving Opposition Leader Bill Shorten a Cold Chisel T-Shirt, while wearing a Midnight Oil classic. 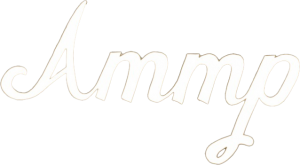 (All images: Twitter). Barnes was celebrating his bestselling memoir for HarperCollins when the opportunity arrived to promote the Support Act fundraiser. 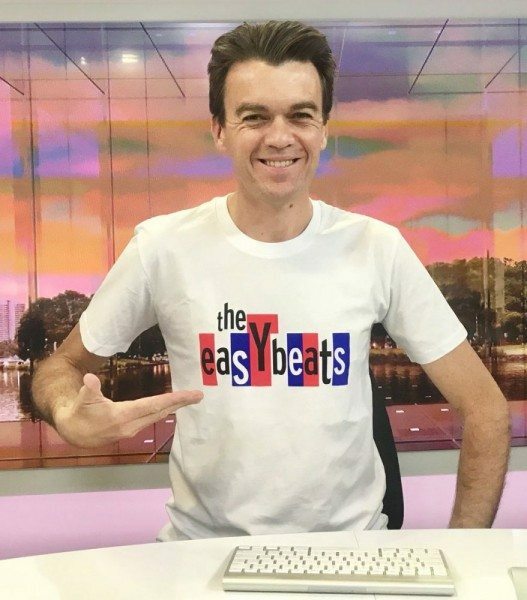 The Easybeats – coming soon to ABC-TV – were a popular choice for T-Shirts on the day (modelled here by Michael Rowland). 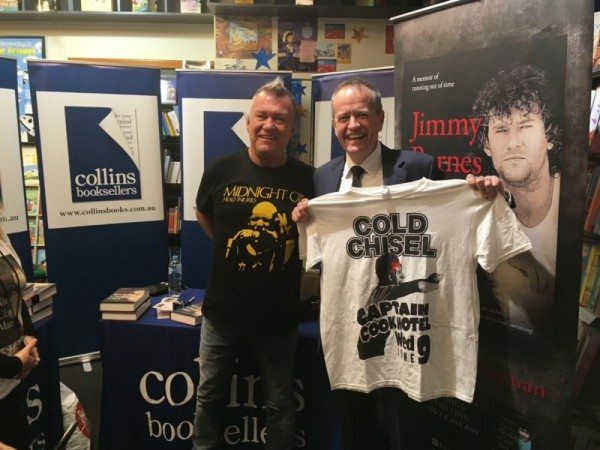 As the band who introduced the idea of free T-shirts to Australian vinyl covers, Midnight Oil also found some favourite shirts and wore them to promote the Support Act fundraiser. You can donate to Support Act or find out more about the T-Shirt campaign here.